When it comes to summer holiday locations, France has just about everything you could ever need. From long stretches of beaches with crystal blue waters to charming mountain villages, it’s difficult to decide where to go. If you’re a fan of the French vacation then you should try somewhere different each year. The country has many beautiful places, but some are better at certain times of the year – here are three of the best to visit in the summer. Of course, the South East coast of France has long been a glamorous and sought after holiday destination. The Côte d’Azur has a lot to offer, including classic Mediterranean beauty, endless beaches and charming towns. This coastline has been attracting A-listers and superyachts for years, and it’s easy to see why. While it is the perfect summer destination, the fact is that this exclusivity has outpriced many normal holidaymakers – unless you know where to go. 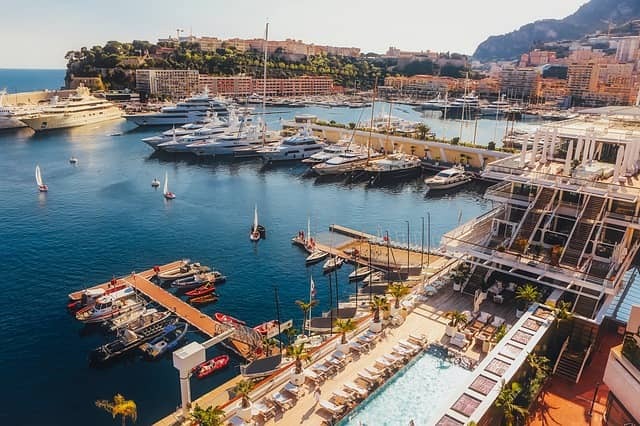 St Tropez and Monaco might have the celebrity endorsement, but there are plenty of other scenic towns along the coast which are just as pretty and much more affordable. Try Agay, Villefranche-sur-Mer or Cavalaire for a quieter French holiday. If you tire of beaches and prefer a more active holiday, then why not head further north into the European Alps. Chamonix is known as the first host of Winter Olympics, yet it also an amazing place to visit during the summer to avoid the crowds. The stunning scenery, including the tallest mountain in Western Europe, Mont Blanc, is just as impressive on sunny days as it is during snowfall. The cable cars are still open during the winter so you can head up to the mountains and take in the breath-taking views. There are also a range of activities to get your teeth stuck into, including paragliding and white water rafting. Bordeaux is now one of France’s most vibrant cities, attracting millions of visitors annually. If you like to enjoy a city break filled with culture, art and architecture then forget Paris – Bordeaux is the place to be. The wine region offers unrivalled food and wine experiences as well as beautiful buildings to explore. Did we mention it’s the world’s largest urban UNESCO World Heritage Site? France is a beautiful and diverse country offering a variety of summer holidays. Where will you choose?